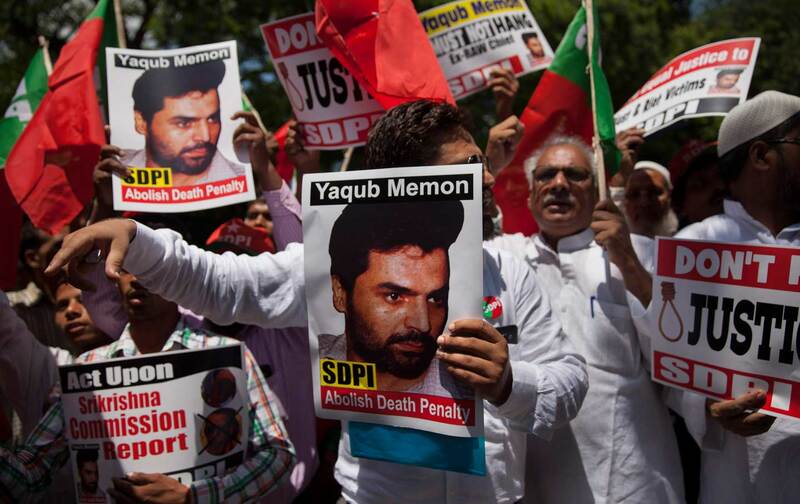 In July of 2015, an accountant named Yakub Memon was executed in India. Nine years earlier, a special Terrorist and Disruptive Activities (TADA) court had sentenced him to death for being the “driving force” behind the 1993 bombings in Bombay. More than 250 people were killed in those blasts, and over 700 injured. But Memon claimed no prior knowledge of the plot. He insisted that on March 12, the day of the attacks, he was visiting his relatives in Dubai; shortly thereafter, his eldest brother Tiger had summoned the entire family to Pakistan. Yakub didn’t know until after landing in Karachi on March 17 that Tiger and his associates had planned and executed the bombings that had terrorized Bombay five days before. No independent evidence was ever furnished to refute Yakub’s claim. Instead, he was convicted on the basis of the statement of one “approver” (in Indian law, a person who confesses to a felony or to having a role in a crime and then gives evidence against his or her accomplices) and the signed confessions of five others who had also been accused—four of whom later recanted their testimony. The TADA court found Yakub guilty on several of the charges against him, including arranging for accomplices to travel to Pakistan for “weapons training.” Yakub maintained his innocence until the end, saying that the court never acknowledged that he, too, had turned “approver” by surrendering on July 24, 1994, in Kathmandu. The prosecution asserted that he’d been arrested at the railway station in New Delhi on August 5, 1994. Yakub denied this in a letter addressed to the chief justice of India. He wrote that he’d never seen the station in his life. Throughout July, a number of lawyers and activists worked to secure Yakub a reprieve from the death penalty, or at the very least a postponement of his scheduled execution date, which happened to fall on his 53rd birthday. Memon had been in prison for 21 years. He had not spent a single day with his daughter on parole: He had been arrested when she was five days old. He had cooperated with the investigation wholeheartedly during his imprisonment, having returned from Karachi with tapes that suggested the complicity of Pakistani intelligence in the blasts. Even assuming his own complicity and the fairness of the procedures that culminated in Memon’s arrest and trial, his role seemed to fall well short of a provision created by the Supreme Court of India in 1980, which stipulates that the death penalty may be imposed only in the “rarest of rare cases.” The death sentences of those who’d been found guilty of planting the bombs had been commuted to life imprisonment—­and none of the other defendants convicted on the same charges as Yakub had been sentenced to death. His brother had warned him about the futility of any homecoming, but Yakub, as he wrote in his letter to the chief justice, had hoped to “wipe out the stigma attached to our names.” Precedent allows for 14 days to pass between the date of the rejection of a plea for mercy and the date of execution. The Indian president rejected Yakub’s petition on Wednesday, July 29, and the Supreme Court of India convened in New Delhi at 2:30 am the next day—to decide whether the execution should be deferred for 14 days. Four hours later, far away from New Delhi in Nagpur Central Jail, Yakub Memon was hanged to death. His death did little to quell the longing for retribution online and on many Indian news channels. Those who spoke about the inherent inequity of prosecuting only the people who’d abetted the bombings while choosing not to indict the architects of the communal riots and mass killings across Bombay in January 1993 that had left nearly 900 people dead and, arguably, had inspired the blasts—those who spoke thus were asked to separate the context from the crime. The Memon family had “openly violated” all the rules, read one tweet; no less a dignitary than the governor of an Indian state called the mourners at Yakub’s funeral “potential terrorists.” Hours after the hanging, there were cries to execute more members of the Memon family. Why I mention who I am is important because unlike all of you, I don’t sit in plush AC offices and write editorials seeking clemency for a murderer. Nor do I visit TV studios and shout myself hoarse. Instead I meet such killers every single day. But I don’t meet them for cocktail parties or at press conferences (like some of you do). I meet them on the road, in the streets, with weapons in their arms and hate in their eyes. I have been in situations with them where they would not hesitate a single moment before pulling the trigger on me, but I have to consider all the ramifications like “human rights”, “due process” and “fake encounter” before I save my life and [those] of the innocent people around me. Given the above I believe I am in a far better position to comment on a mass murderer like Yakub Memon than any of you are. Notwithstanding the sanctimony and the brisk inflation of experience—for instance, any police officer, however benevolent, is more likely to have arrested or combated “such killers” on the road than to have met them—something about the writer’s impertinent tone sounded familiar. It is the impertinence of those who seek to solve, once and for all, the problem of authenticity—we often think of the angriest and consequently the loudest voices as the most legitimate. The rudeness is deemed necessary to give the lie to an obfuscation. And the denunciations are seen as a response to some coercion or to the time spent waiting to be heard and believed. I started yelling at the top of my lungs, and I insulted him and told him not to waste his prayers on me. I grabbed him by the collar of his cassock. I was pouring out on him everything that was in my heart, cries of anger and cries of joy. He seemed so certain about everything, didn’t he? And yet none of his certainties was worth one hair of a woman’s head. He wasn’t even sure he was alive, because he was living like a dead man. Whereas it looked as if I was the one who’d come up empty-handed. But I was sure about me, about everything, surer than he could ever be, sure of my life and sure of the death I had waiting for me. Yes that was all I had. But at least I had as much of a hold on it as it had on me. I had been right, I was still right, I was always right. I had lived my life one way and I could just as well have lived it another. I had done this and I hadn’t done that. I hadn’t done this thing but I had done another. And so? It was as if I had waited all this time for this moment and for the first light of this dawn to be vindicated. Nothing, nothing mattered, and I knew why. So did he. For a brief while I knew your hero’s genius: the ability to tear open the common, everyday language and emerge on the other side, where a more devastating language is waiting to narrate the world in another way…. The reason why your hero tells the story of my brother’s murder so well is that he’d reached a new territory, a language that was unknown and grew more powerful in his embrace, the words like pitilessly carved stones, a language as naked as Euclidian geometry. I think that’s the grand style, when all is said and done: to speak with the austere precision the last moments of your life impose on you. Imagine a dying man and the words he says. That’s your hero’s genius: He describes the world as if he’s going to die at any moment, as if he has to choose his words with an economy of breathing. He’s an ascetic. Haroun is attuned to Meursault’s genius because, like him, he has murdered an innocent man, although unlike Meursault, he at least happens to know his victim’s name. He need not exactly imagine a dying man or “the words he says.” And perhaps the surest way of identifying this “grand style” in a voice is by listening for the bass of deep certitude. We hear it in the first sentence spoken by Haroun in Daoud’s book: “Mama’s still alive today.” That “still” is reminiscent not so much of The Stranger’s well-known opening as of the stresses in Meursault’s late outburst: “Nothing, nothing mattered, and I knew why.” From the beginning of The Meursault Investigation, it is clear that the story is neither rebuke nor homage; it is a corollary to the breakdown that Meursault undergoes at the end of the earlier book. I’ve dealt with the heaven question by recognizing the obvious: I realized very young that among all those who nattered on about my condition, whether angels, gods, devils or books, I was the only one who knew the sorrow and obligation of death, work and sickness. I alone pay the electric bill, I alone will be eaten by worms in the end. Stories and religions are futile because they allow us to escape the facts of our everyday existence. Our condition is absurd not because our desire for meaning and significance is thwarted, in Camus’s fine phrase, by “a universe suddenly divested of illusions and lights,” but because we will stand in a queue to pay the electric bill; and a plot must be chosen in the cemetery, an appointment with the undertaker booked, before we can be “eaten by worms in the end.” As Yakub Memon must have discovered to his dismay during his years in jail, living and dying are steeped alike in these small ceremonies of daily existence. The use of the “grand style” perhaps presupposes a similar knowledge: that the direst threat, if kept up for long, is processed by our minds as a promise. This explains, to a large extent, why the sentences in the second half of The Stranger have a replenished air about them. Murder seems to rescue all of Meursault’s senses from their stupor, returning him to an intense, embryonic state. Perhaps we should not always rely on our anger to seem credible. Haroun realizes this rather abruptly when he is arrested. Twenty years after his brother’s death, he is detained not for killing a Frenchman, but for killing him a little late—two hours, as it were, after Algerian independence. His interrogator has murdered more Frenchmen than Haroun has, but he is an officer in the Army of National Liberation and therefore protected. “I’m not asking for the truth,” he tells Haroun. “Nobody needs that here. If it turns out you killed him, you’ll pay.” Implicit in his “you” is the “you alone”—the you alone who pays the electric bill, the you alone who will be eaten by worms in the end. And what of Yakub Memon? Did his proximity to death bring clarity to his pleas? Is the grand style, so favored by both murderers and expectant victims, apparent? The day before he was hanged, Yakub wanted to talk to his daughter one final time; the transcript of that phone call remains private. Newspapers have claimed that he stayed composed until the very end. “I and my God know the truth,” he reportedly assured jail officials. “You people are just doing your duty, so I forgive you.” But in the letter he wrote to the chief justice in July 1999, his handwriting appears precarious and hesitant. “It is about 3 am at the moment,” he begins. “For the past 5 years I am unable to sleep on this particular night. I put my foot on India exactly 5 years ago at this particular time.” The only certainty is about the details of his arrival; there is no “economy of breathing,” no rupture in his language. After his arrest in 1994, Yakub was interviewed on national television. Perhaps we should look there for signs of a deeper conviction in his stance. In the video, he seems unsurprised by the questions being asked. He must have been answering them repeatedly in those days; no more two than weeks had passed since he had been apprehended. He patiently describes what transpired during the blasts: The Memon family had boarded a flight to Dubai—“via Karachi”—unaware of Tiger’s critical involvement. A Pakistani intelligence agent had received the Memons in Karachi, collected their Indian passports, and provided them with new identities. Again and again, Yakub stresses that he was not very familiar with his eldest brother’s dealings; again and again, the interviewer rebukes him, saying that his innocence seems far from plausible. At one point, Yakub insists that he was too busy with his job in Bombay to be part of any conspiracy. “Who is going to believe you?” the interviewer asks him. It is a question that could have been easily put to Meursault by his prosecutor, or to Haroun by the patriotic ALN officer—“Who is going to believe you?” As it happens, even after 20 years, no one did. Abhrajyoti ChakrabortyAbhrajyoti Chakraborty lives in Iowa City and New Delhi. He was a Provost’s Fellow at the Iowa Writers’ Workshop from 2013 to 2015.